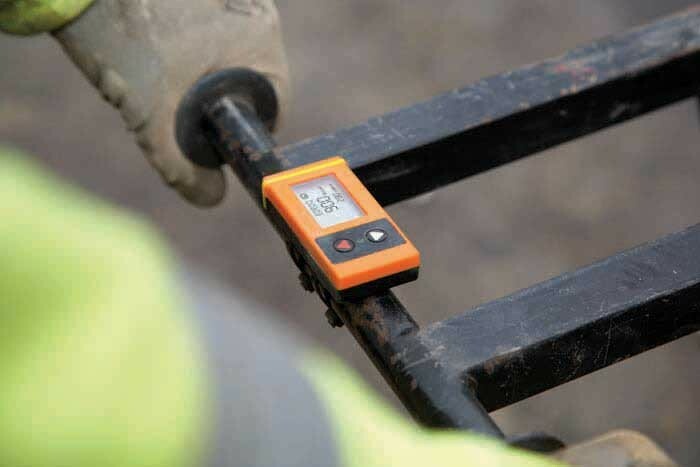 The HAVi Vibration Indicator is one of the UK's most popular hand arm vibration indicators for a reason. 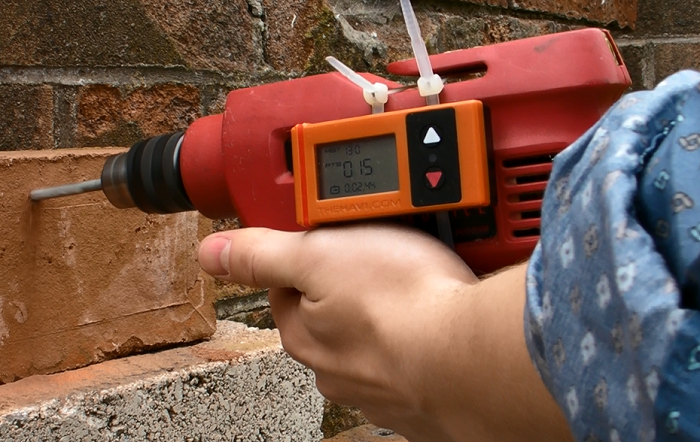 Input the vibration magnitude of the power tool in use and the HAVi will not only count exposure time, but also calculate exposure and display accrued exposure points to the operator. Now compatible with the HAVi Watch. Do you want to add a protective case? Working with vibrating machinery tools can cause hand-arm vibration syndrome (HAVS) and, according the Control of Vibration at Work Regulations (2005), exposure must be monitored to ensure daily exposure limits are not exceeded. 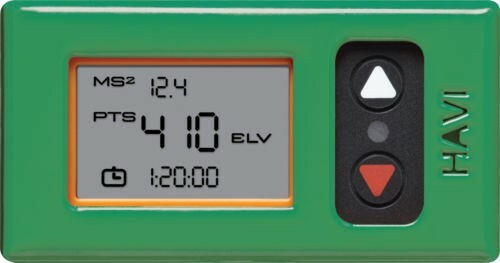 The HAVi Vibration Exposure Timer is one of the simplest ways to manage the vibration exposure of your workforce, ensuring the continued health of your tool operators. The HAVi is simply strapped to the machine being used either by cable ties or with the fabric tie provided. 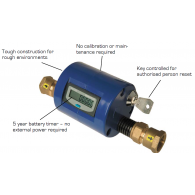 Once the HAVi is running, the trigger times are continually monitored and displayed using the HSE points system. 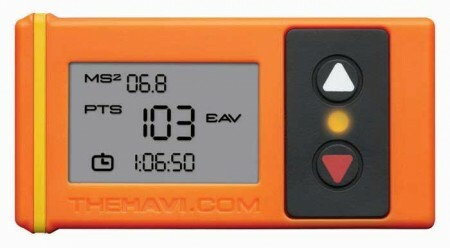 Once an operator reaches 100 HSE points, the HAVi triggers an amber warning light and they are advised to take a break. Once an operator reaches 400 HSE points, the HAVi triggers a Red warning light advising the operator to stop using any tools that vibrate for the remainder of the day. Once work is completed, the number of points and duration of use are recorded in a log book. 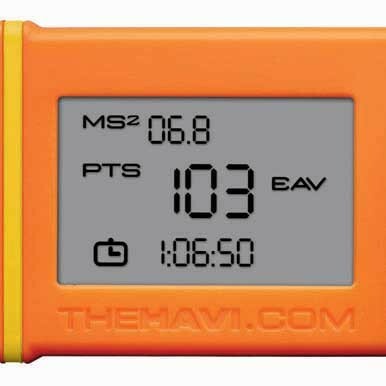 It really is that simple to use and that's why the HAVi doesn't cost the earth. 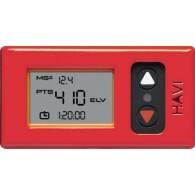 The HAVi's battery life lasts 1,000 trigger time hours, or an expected operation life of 2 years. Additional Heavy Duty Cases, Log Books and Fabric Ties are also available. WEEE compliant. Patent applied for. 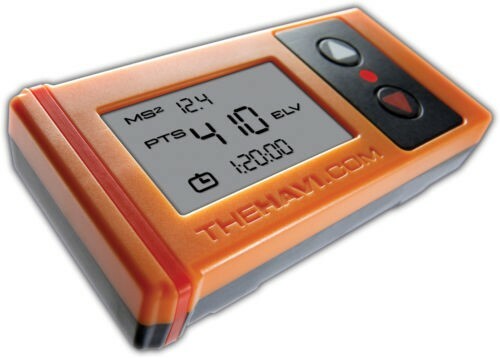 The HAVi has a working temperature range of -20ºC to 40ºC. Battery powered. Estimated life 1,000 trigger time hours. IP65 screws and seals. Ruggerised rubber keys.